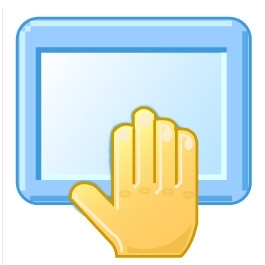 This program is called "Touchpad Blocker". It is very useful device, but it's usually located right under your hands when you are typing. Accidental touch by palm or wrist moves caret to another place of text. You can set a length of delay in milliseconds. 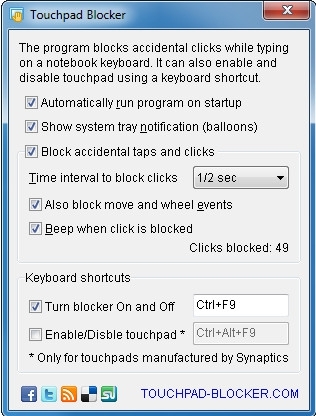 There is a customizable keyboard shortcut to switch touch blocking on and off, very useful for gaming, designing, painting, and other active work with touchpad or mouse.